No, that is not a BBC executive envisioning classical music's contribution to the 2012 Cultural Olympiad. It is in fact Carl van Vechten writing to Brion Gysin in 1950 about the art of performance. 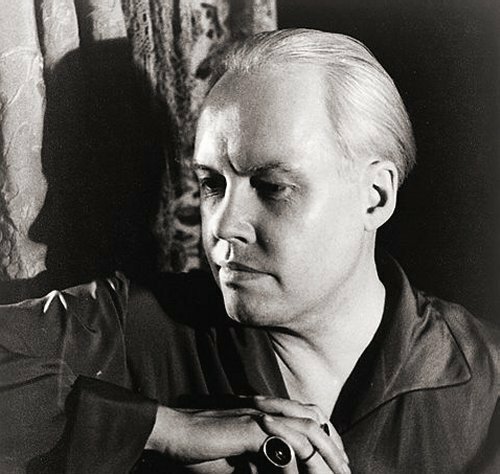 Carl van Vechten, seen above in a self-portrait, was the American writer and photographer who famously wrote a first-hand account of the audience reaction at the 1913 premiere of Stravinsky's Rite of Spring. Brion Gysin was the performance artist whose patronage launched the international career of the Master Musicians of Jajouka. Quote is from include Nothing is True but Everything is Permitted - The Life of Brion Gysin by John Geiger. Photo source is Wikipedia. Report broken links, missing images and errors to - overgrownpath at hotmail dot co dot uk. Also on Facebook and Twitter.